Please take a few moments to read this article! Selecting a DJ for your event can be one of the hardest decisions you’ll have to make. 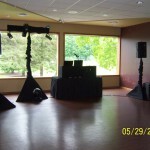 The DJ will make or break your event! The question is do you want a amateur running your event or a professional who will ensure that your event will run as smoothly as possible. Everything can and has to be perfect, but if the music is not good, the party can fizzle out. With thousands of DJs in America, everyone will promise that they will do a great job for you. So how do you pick a DJ? The professional wedding entertainer/MC/DJ can be the most priceless part of your wedding. This information should help you in selecting a DJ. 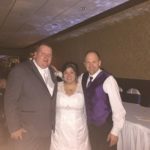 The most reliable way to choose a great wedding DJ is to choose one you enjoyed at a previously attended event. If possible, get a card from him or her. If you can’t get a card, ask the hall manager or the person that hired him or her. If you have not seen a DJ perform lately, ask friends and family. A good referral is usually the BEST way to select a DJ. Another option is to go to the Yellow Pages, Wedding Bridal Shows, Internet, or even a Wedding Planner and start looking! You will find all kinds of different businesses. You will want to look for company that “specialize in weddings”. Those DJ’s should be the first you try to call. You will also find when calling them you are going to get a wide range of prices. Sometimes prices vary from a couple of hundred dollars (amature) to a couple thousand dollars (a true professional). That’s a big deference! It’s very easy to hire the cheapest one if money is an issue. But, as I always say, “you get what you pay for”. It’s a fact the more expensive DJ’s charge more usually because they have more experience, a bigger client list, bigger song selection, a good reputation, do ongoing training, higher quality equipment, and insurance. 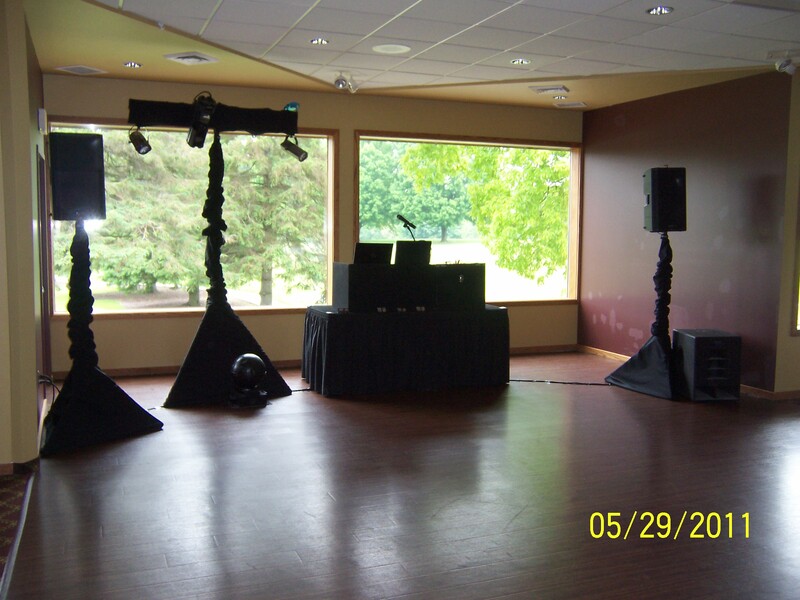 Generally, the DJ’s on the low end are new to the business, or do not have the proper equipment or DJ for SIDE money. They might be worth it if you are having an informal event or on a tight budget. Make sure when speaking with a DJ over the phone you listen to how professional they are. That tends to indicate how they DJ a party and respect the guests. Ask them about their experience. When they answer “how many years of experience they have” the next question should be “how many weddings have you done?” Just because they have 10-15 years of experience won’t help if they have been DJing in a bar for that amount of time and doesn’t mean they know how to run wedding! Get references from people who have hired them before, or contact the hall manager at establishments where the DJ performs often, or look for a review website like Wedding Wire or even The Knot. Many of the DJ’s will boast abut their song list. A good variety is a good thing, but in reality they will only be able to play approximately 120 songs in a 6 hour time frame. Having the right songs is more important than having 300,000 songs that your guests don’t want to hear. When you talk to the DJ tell him what kind of event you are having and ask him what kind of music he suggests. You will feel comfortable after finding out what they can provide for you. When talking about equipment, most DJ’s boast about their GREAT equipment! If you are familiar with professional DJ equipment, great, but if not, you probably won’t know the difference between which brands are better. However, your DJ should have professional grade equipment. If they list brands you are familiar with from your local electronic store, I would question that a little more. You don’t want home stereo equipment finding its way into your event. Most DJ amps will be between 200-800 watts per channel. Most home stereo amps will only be abut 100 watts per channel. Some of the questions that you ask yourself ??? What did you enjoy at the last wedding you attended? What did you NOT enjoy at the last wedding you attended? Ask the bride and groom from the last wedding about their wedding. What did they like or dislike or change about their event. You should NEVER base a DJ on just price alone or put them on the bottom of the budget. That could be your biggest mistake you will make for your event. If you are paying more for a cake or a photobooth than the DJ that could be a problem. You will get several different prices but ask the right questions and the price will never be a issue! 1. Ask how many years of experience do you have? And follow up with how many weddings have you done? 3. Do you have a DBA or a LLC? 4. Will you coordinate the reception for us? 5. Will you be the MC for the event? 6. Are you a member of any associations like any Chambers or American Disc Jockey Association, or any wedding networking groups? 7. 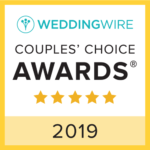 Do you have references with any local banquet halls, thank you cards or surveys or a review page on Wedding Wire or The Knot? 8. Do you have liability insurance? Every vendor should have liability insurance! 9. Do you provide a contract and require a deposit? 10. Do you guarantee your work in writing? 11. Do you have back up equipment and back up DJs? So now you are engaged and it’s time to start planning your wedding and setting up your budget finding out who is going to pay for what. I understand that almost everyone this is your first wedding you ever planned. What do I do? You should start asking friends and family first on what they did at their wedding. What they liked or didn’t like or what they would have done differently. After the wedding a survey by the American Disc Jockey Association (ADJA.org) said that about 80% of the brides and grooms said they wish they would have spent a little bit more on the entertainment and a little more time planning all the music. What do you think the most important part of your wedding reception is? The cake? The flowers? The drinks? Well in my opinion I think the most important part of the wedding reception and 90% of the success of the wedding is the entertainment. If you budget the entertainment to be less than 1% of the total budget you might want to reconsider your budget. Just my opinion !! Remember you can’t invite everyone you know and their kids to the wedding! If you are paying more for a cake than the entertainment your wedding might not be a success. The lower priced DJs will not be able to handle or have the experience for any situation. They will not have insurance, experience, back up equipment, does only a few weddings each year, does not have professional DJ equipment or even a TUX. I had one client tell me when she was calling around for a DJ and the DJ said “she had to rent the tux for him!” She hung up! A hall manager at one of the local halls that I work at told me about the DJ they had the weekend before she said when the DJ came in to set up he asked her “if she could do all the announcements because he was afraid of talking! You should NEVER base your DJ on price only . We here at Mobile Rhythm DJ Service have a code of ethics. We will NOT drink alcohol on the job. We will act as professionals. We will play the music that YOU and your guests want not what we want it’s not our party! We will NOT be rude to you or your guests. We are there to represent YOU and make YOU look good! If your wedding budget is $25,000 (cost of an average wedding) your entertainment budget should be no less than $1000. 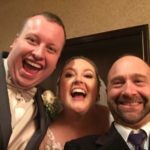 When you get a great entertainer that is willing to work with you on every aspect of reception, play all the right music, make all the correct announcements, and make sure everything runs smoothly do you think it might be ok to spend a little bit more if your wedding is guaranteed to be a success! Our set-up has very professional look. As you can see you don’t see cords hanging or even the stands. Everything is skirted! Or would you rather have this look at your very expensive wedding! Remember who you are giving the microphone to! 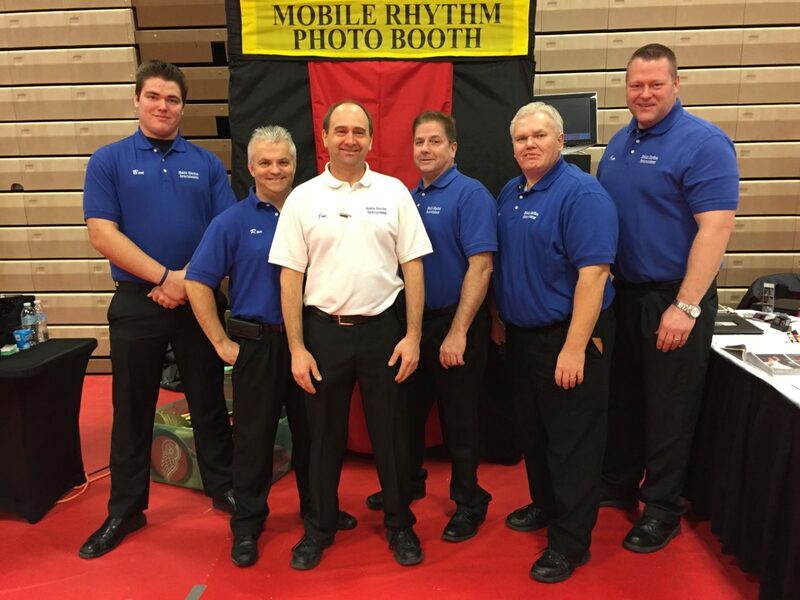 One thing you will never hear from a Mobile Rhythm DJ is “Sorry Lisa(bride) but I don’t have your daddy daughter dance song but I could have my wife go and buy it if you like!” a quote from a Matron of Honor to me about her friends DJ. There is NO EXCUSE that a DJ would not have all your special music. As you go through all of these questions, remember that the PERFECT entertainer will be priceless for your event.